For kids, summer spells time to sleep in, no homework and maybe an upcoming family vacation. But, these days, it can also mean learning a new skill, trying something adventurous, learning to swim, a new language or travelling afar. The staff at the Osprey Observer have collected the top recommendations for local summer camps and created this special pull out section. Did we miss one? Let us know by emailing Subject line “Summer” to michelle@ospreyobserver.com and we will be sure to add to upcoming editions and to our full listing online! Whether kids want to take a trip back to basics with Kids ‘R’ Kids Nature Kids Summer camp, or maybe learn to swim at the iconic Brandon Sports & Aquatic Center, home to Olympic swimmers and divers, or learn to cook at the gourmet Viking demonstration kitchen with award-winning chefs at Rolling Pin Kitchen Emporium, there is plenty to do. Kids can look forward to tons of field trips at Camp Primrose Summer Camp with explorations and fun including a trip to MOSI and more. Maybe the scientists will want to take a MOSI Summer Science Camp and learn through hands-on experiments and technology and maybe even design a video game. 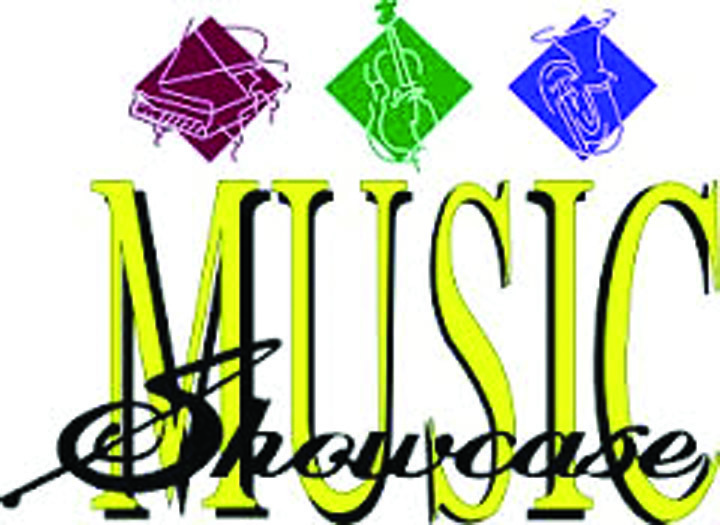 At Music Showcase, music, theatre and possible starring roles in popular musicals and more will be offered for children ages 5 and up and beginning musicians in guitar, violin, singing and song writing are welcome. At The Pottery Patch, projects and creation are on schedule including clay building, glass fusing, canvas painting and other techniques. Teen camps are also offered. 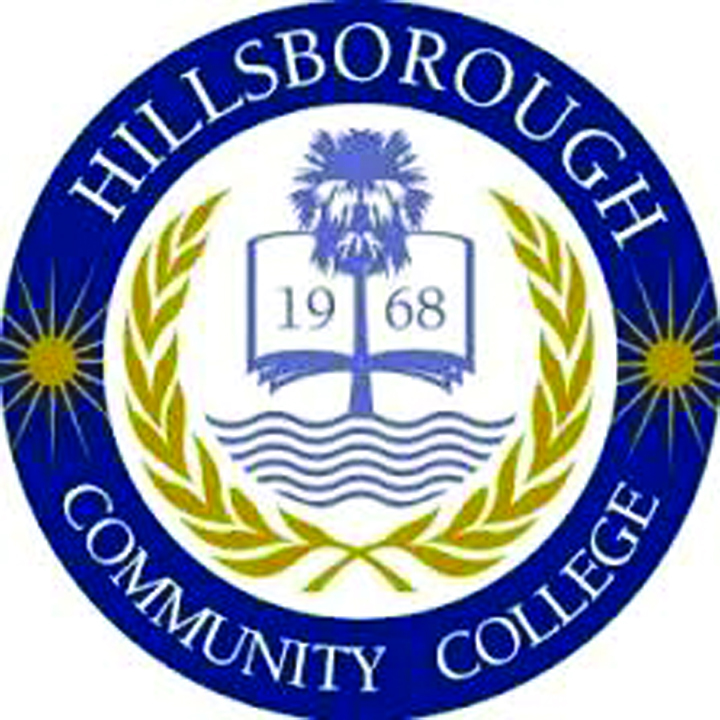 At HCC, children can go to college at Kids’ College. Children ages 7-12 years old have a chance to spend time on campus learning in the college environment. Computers, Games & Apps, Healthcare, STEM, Culinary, Photography and Fashion Design are a few of the classes offered. Athletes will enjoy Summer Sports Camps throughout the community and math enthusiasts will love Mathnasium’s Power Math Workout, a recommended choice between our Summer Master Series or our Jump Start Series, with daily math game time. Chick-Fil-A’s summer fun flicks offer family friendly movies every Tuesday with proceeds going to a good cause. Animal lovers can choose from camps at the Lowry Park Zoo, R&R Ranch and Red Fox Stables and have fun exploring nature. Socialights will give special needs children real world experiences and specialized activities. Coach P, FishHawk Martial Arts academy and the Riverhills Country Club offer athletics camp for the aspiring sports stars. For dates, prices and registration information on these and more, turn the page and enjoy this special section and have a great summer! This year Kids’ College will offer chess, mystery monsters, fashion design, fossil hunter, money boss, broadcasting, fit & fun, good eats, computer wizard, STEM, tech camp, photo fun, interior design and medical exploration. Camp is for ages 7-12 years old, and will take place Monday-Thursday from Monday, June 9 through Friday, August 15. The times are 9 a.m.-4 p.m. with early drop-off at 7:30 a.m. and late pick-up through 5:30 p.m. at no additional cost. Camp will be held at four HCC locations (Collaboration Studio in Ybor City, Plant City Campus, SouthShore Campus in Ruskin and The Regent in Brandon). For more information, contact Ronkel Williams at 259-6549; rwilliams92@ hccfl.edu or Jeff Benjamin at 259-6528; rben jamin8 @hccfl.edu or visit www .Tampatraining.com/kidscollege. Camp Nature Kids is an unforgettable ten-week odyssey that transforms campers from Kindergarten-12 years old into miniature scientists, explorers and adventurers as they investigate the wide and wonderful world beyond their back door. Nature Rocks – During these first two weeks, campers are introduced to many of the topics covered in more detail in later weeks. They utilize their five senses to investigate dirt and mud, insects, plants and animals. Digging in the Dirt (weeks 3 and 4) – It’s all about playing in the dirt. Campers squish and squelch in the mud, investigating not only what is in dirt, but who as well. Wallowing pigs and wiggly worms are just the beginning of what campers find while digging in the dirt. Bugs and Slugs (weeks 5 and 6) – Chirp like a cricket? Hop like a grasshopper? Flitter and flutter like butterflies? There are so many interesting insects for campers to investigate. Wild About Wildlife (weeks 7 and 8) – Animals have many characteristics that make them perfectly suited to their habitats. By slithering like snakes, hopping like rabbits and flying like owls, campers investigate reptiles, mammals and birds representing unique habitats. Off the Beaten Path (weeks 9 and 10) – Camping and hiking are adventures full of fun and exciting activities; pitching a tent and sleeping under the stars, using a compass and cooking over a campfire. As campers travel, other amazing habitats are explored. The rate of $140 (with ad coupon) includes all meals and field trips. Kids R Kids has two locations: 4321 Lynx Paw Tr. in Valrico and 5815 Kids Crossing Dr. in Lithia. For more information, call the Valrico location at 657-6200 or the Lithia location at 526-7000 or visit www.krkvalrico.com. Why just go to summer camp when you can go to Zoo Camp? Tampa’s Lowry Park Zoo offers exciting and enriching summer camps for kids of all ages. The expert staff provides the most fun and safe environment for animal adventures with friends that children will always remember. This summer, the Zoo School at Tampa’s Lowry Park Zoo is headquarters for more than 100 week-long camps for students who have completed K-8th grades. Kids and teens can learn about nature, science and the animal kingdom while hiking through the zoo, exploring behind-the-scenes and cooling off in the zoo’s water play areas. Adventure camps include animal encounters, keeper talks, educational shows, games, crafts and more. A typical day at summer camp Includes: zoo hikes, classroom lessons with pictures and artifacts, daily animal encounter or animal enrichment, activities based on the weekly camp theme, arts and crafts projects, animal shows, animal feedings, keeper talks and educational videos. Camps begin promptly at 9 a.m. and ends at 4 p.m. Monday through Friday. Early drop off before 8:55 a.m. or late pick up after 4 p.m., is available. General summer camps cost $180 for zoo pass holders and $200 for non-zoo pass holders. The four day camp from Monday, June 30-Thursday, July 3 will cost $145 for a pass holder and $165 for a non-pass holder. Shutterbug Camps are $200 for pass holders and $220 for non-pass holders. Animal Handling/Animal Trainer Camps are $215 for pass holders and $235 for non-pass holders. Morning Extended Care (7-9 a.m.) costs $25 per week and afternoon extended care (4-6 p.m.) is also $25 per week. 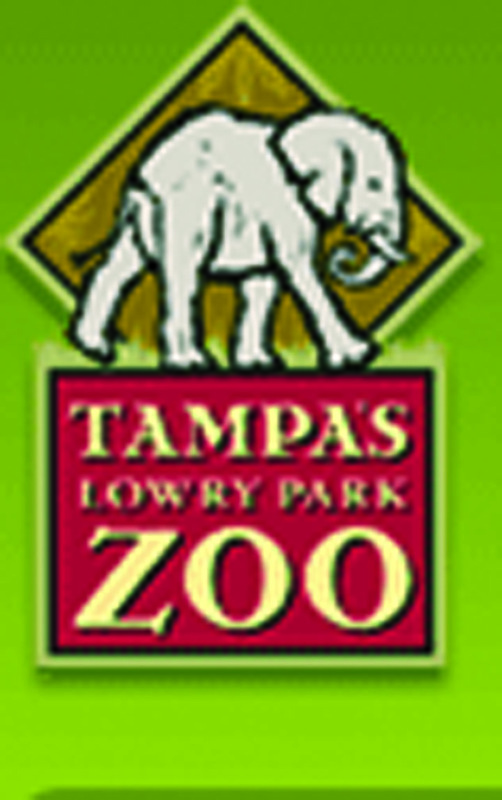 Lowry Park Zoo is located at 1101 W. Sligh Ave. in Tampa. Visit www.lowryparkzoo.com/_education/register.html to register for camps or call 935-8552 ext. 268 for more information. Summer Scene 2014 Musical Theater for ages 5-9. Rehearsals take place for Disney’s The AristoCats Kids from Monday-Friday, July 7-July 18 from 9 a.m.-12 Noon. The performances will take place on Friday-Sunday, July 18-20. Rehearsals take place for Dinosaurs Before Dark Kids from Monday-Friday, August 4-15 from 9 a.m.-12 Noon. Performances will take place on Friday-Sunday, August 15-17. The cost for each two week camp is $175. Stay for the Music & More afternoon camp for an additional $75 per week. Daily drop-in fee is $25 per day. Free early drop off at 8 a.m. and late pick-up until 6 p.m.
Jr. Showcase Players – Summer Scene 2014 Musical Theater for ages 9-12. Rehearsals for Seussical the Musical will take place Monday to Friday from June 16-27 from 9 a.m.-12 Noon. The performances will take place Friday-Sunday, June 27-29. Rehearsals for Hairspray will take place from Monday-Friday, July 21 – August 1 from 9 a.m.-12 Noon. The performances will take place Friday-Sunday, August 1-3. The cost for each two week camp is $175. 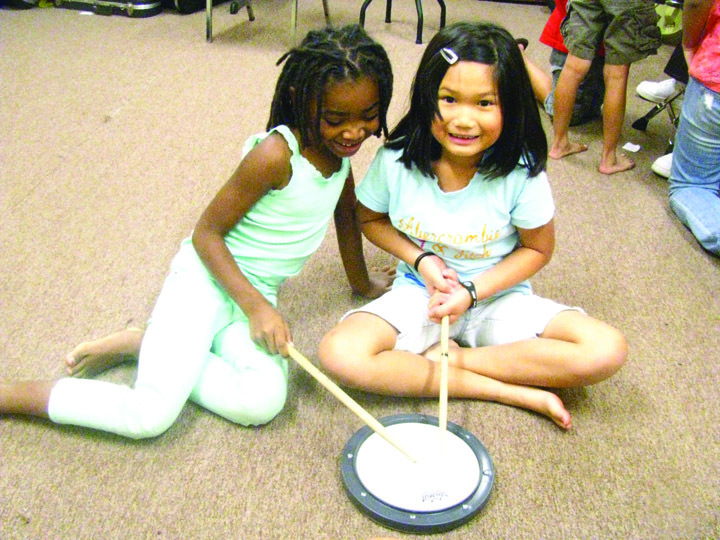 Stay for the Music & More afternoon camp for an additional $75 per week. Daily drop-in fee is $25 per day. Free early drop off at 8 a.m. and late pick-up until 6 p.m.
Music & More Summer Camp takes place all day Monday-Friday from 9 a.m.-5 p.m. Learn about music and instruments, play guitar, violin, drums, singing and acting classes, games, crafts, activities, drawing, chess and more. The cost is $175 per week with $25 one-time registration fee. There is free early drop-off at 8 a.m. and late pick-up until 6 p.m. Rising Stars! Performance Boot Camp is for ages 9 and up and takes place from Monday, June 9-Friday, June 13 from 9 a.m.-2 p.m. with a performance on Friday, June 13. Included is songwriting, acting methods, music history, agents and casting calls, auditioning tips, monologues, public speaking, singing, performance critique and stage presence. The cost is $200 per student. There is a $25 one-time registration fee for all camps. Classes are held at Music Showcase, located at 402 Oakfield Dr. in Brandon. For more information or to register, call 490-2787 or visit www.faopa.org. Camp is offered for ages 5 years old and up at Red Fox Stables. Children are assigned a buddy to share camp with at the beginning of the week and horses to be responsible for. This includes mucking stalls, feeding, grooming and care of the horse. They will enjoy daily riding in both the riding arena and on the riding trails, horse games and a show event on Friday to show off what they’ve learned during the week. Also included are games on horseback, education on grooming, care of horse, equipment used, feedings, breeds, arts and crafts (related to horses) and much more all taught in an air conditioned camp room. Sign up early to secure a spot as class sizes are limited. There is one instructor per three children. There are discounts for siblings and multiple camp weeks. Full day camp runs from 9 a.m.-5 p.m. and costs $199. Half day camp is available from 9 a.m.-2 p.m. and costs $169. Contact Roxane at 601-9516, e-mail roxane@redfoxstables.com to register or get further information or visit www.redfoxstables.com. Specializing in horse experiences for the young child and beginner riders, R&R Ranch is a wonderful place to introduce young ones to horses. Campers range in age from 5-15. Young campers may elect to leave earlier than the older crowd as camp can be exhausting. 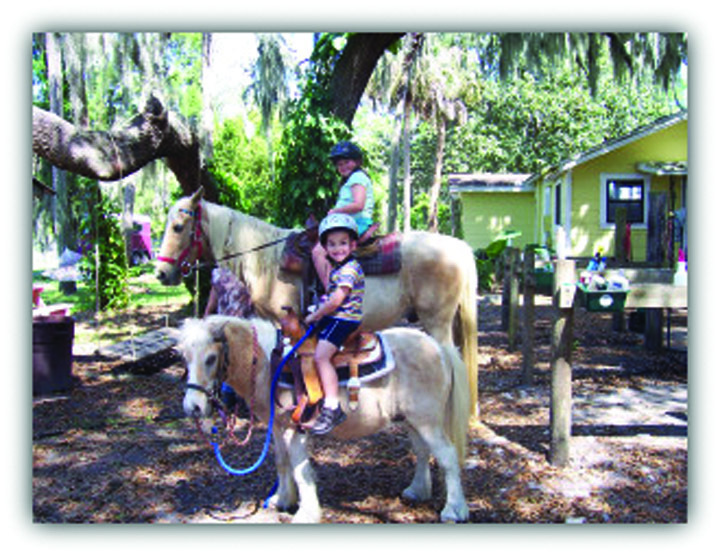 Daily trail rides and hay rides will take place along with pony painting, lots of games, snowball fight, education on grooming and care of horses and farm animals, bounce castle, sliding on the inflatable water slide, movies and popcorn in the air conditioned camp house, arts, crafts and much more. 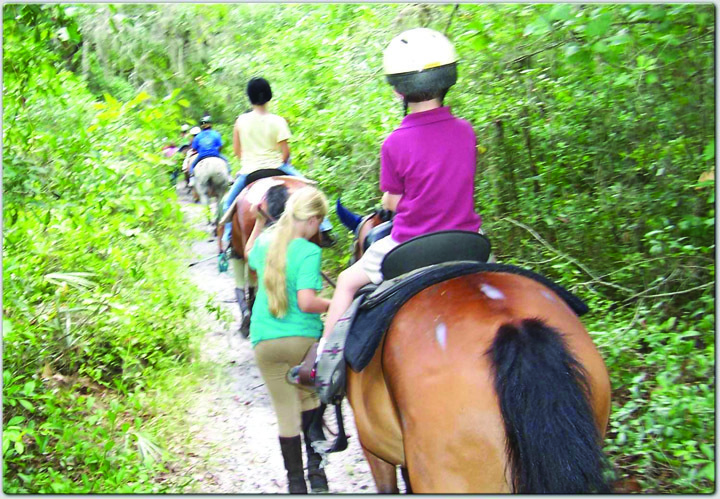 Advanced campers will also enjoy three riding lessons and more emphasis is placed on equine education. Sign up early for summer camp as space is limited. Summer camp begins on Monday, June 9. The cost is only $175 per week for Monday-Friday sessions from 9 a.m.-5 p.m. Early drop-off and late pick-up can be arranged. R&R Ranch is located at 9805 Bryant Rd. in Lithia. For more information, visit 653-3819 or visit www.rrranchlithia.com. At Mathnasium, summer programs are all about preventing summer learning loss and helping students prepare for what lies ahead in a fun environment. For some students, that means a solid review of previous material. Others benefit from previewing upcoming concepts. Most students will get some of both. We have programs available for students from first grade through 12th grade for one and a half hour sessions that will include a Power Math Workout, a recommended choice between our Summer Master Series or our Jump Start Series, and daily math game time. Campers choose from 12 or 18 session packages or regular year-round programs. Mathnasium is located at 1048 Bloomingdale Ave. in Valrico. Summer programs will begin Monday, June 2. Hours are 2-7:30 p.m. Monday through Friday. Interested individuals will receive help choosing the program that works for their child. For more information or to register, call 655-6284 or e-mail brandon@mathnasium.com or visit www.mathnasium.com/brandon. Space is limited so enroll today. 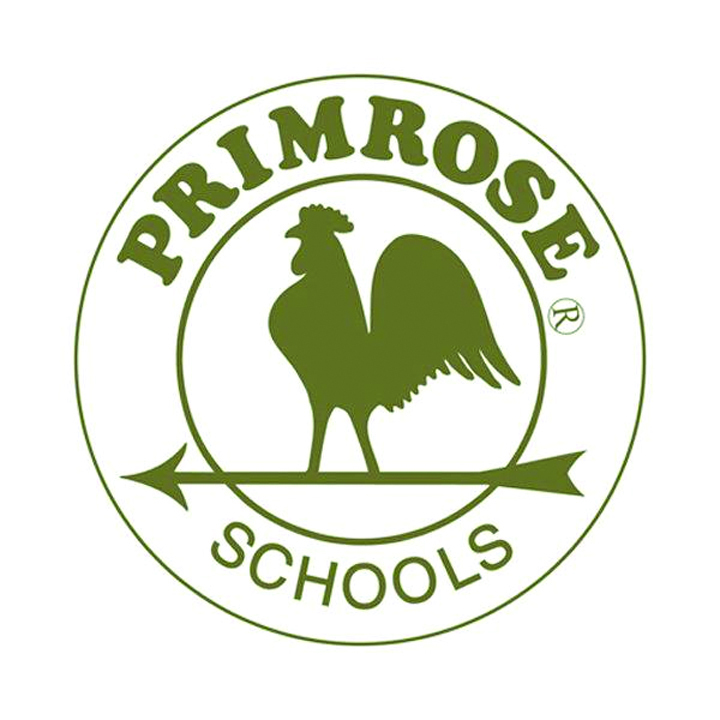 Primrose School of Bloomingdale is gearing up for a fantastic summer adventure for children. Summer camp “Explorers” will be going on two field trips every week to enjoy what the local community has to offer, including a voyage aboard Captain Memo’s pirate ship, a trip to a Rays baseball game, a fairytale picnic at the Florida Botanical Gardens, an adventure at the Mote Marine in Sarasota, and trips to MOSI, Great Explorations, Solomon’s Castle and Old McMickey’s Farm. 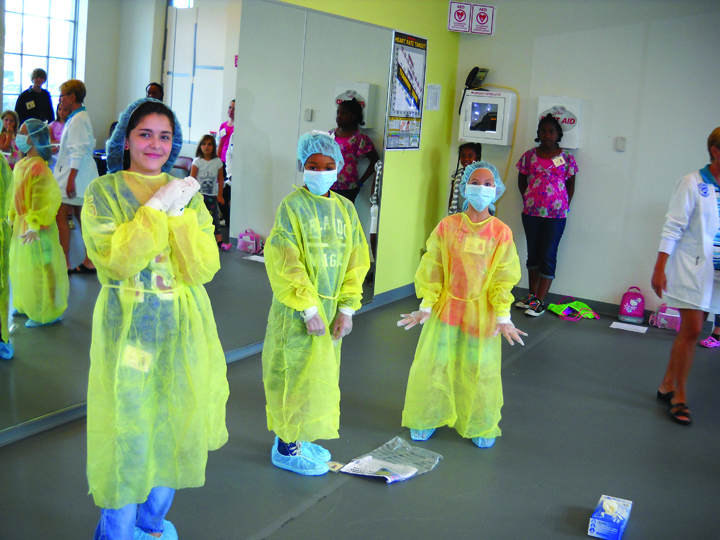 Many learning opportunities are also planned through a creative, hands-on curriculum, emphasizing literacy, science and mathematics, while keeping young minds sharp over the summer. Its experienced teachers are trained in education and safety. Camp Primrose is now accepting registration for children aged 5-10. Visit the school at 1280 Bloomingdale Ave. in Valrico, or call 438-5980 for more information. Create and play all summer long. Kids can experience canvas painting, clay hand-building, glass fusing and unique pottery painting techniques. Create & Play sessions are Tuesdays and Thursdays all summer long from 10:30 a.m.-12 Noon. Class sessions are just $20 per project. Classes are ideal for kids’ ages 7 and up. Register online at www.potterypatchstudio.com “events” or stop by the studio at 2551 SR 60 E. in Valrico at the corner of Miller Rd. and S.R. 60. 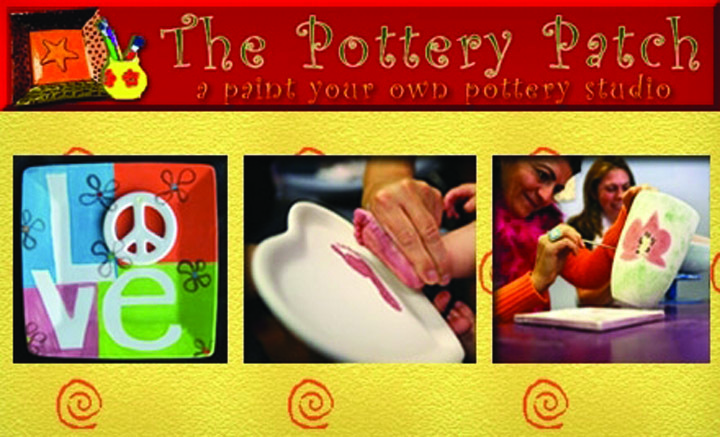 Spend a creative day or all summer long at The Pottery Patch. A Kid’s Night Out is also held the first Friday of every month from 6-8:30 p.m. This special event is for kids’ ages 6 and up and the fee is $25. This super fun event includes a creative project (pottery, clay, canvas or glass fusing), pizza, games and fun. Registration is also available online www.potterypatchstudio.com “events”. Upcoming Dates: Friday, May 2 (Mother’s Day theme); Friday, June 6 (Summer Kick-off Celebration); Friday, July 11 (I scream, You Scream for Ice Cream); Friday, August 1 (Summer Days Are Forever). 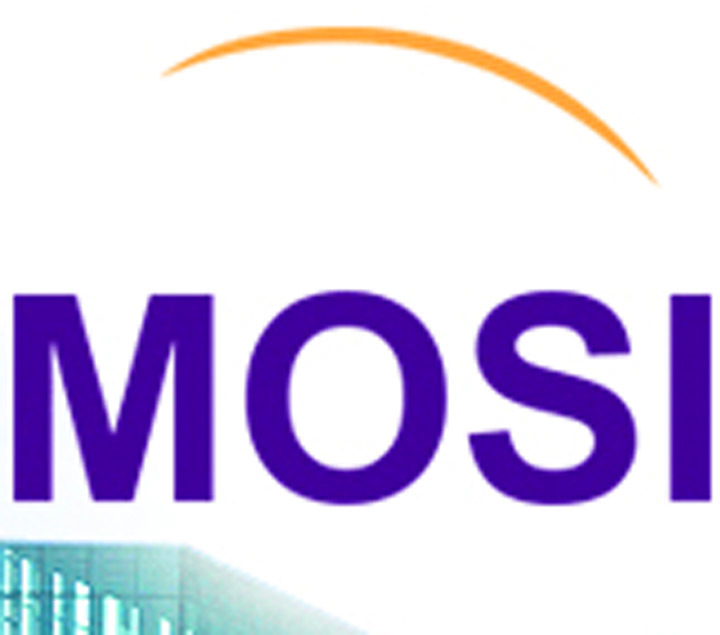 MOSI’s Summer Science Camps bring science, technology, engineering, art and math (STEAM) alive through hands-on experiments and building projects. From finding rocks to launching rockets to making rock music, MOSI creates the experiences that expand campers’ interests and make dreams a reality. Designing video games, creating art with lasers, searching for fossils, using DNA to solve crimes and cooking up edible slime are just some of the thousands of Summer Science Camp experiences waiting for campers. MOSI offers an extensive range of camp topics for ages 2 through high school with options for day camps, residential or travel camps and STEAM career camps. 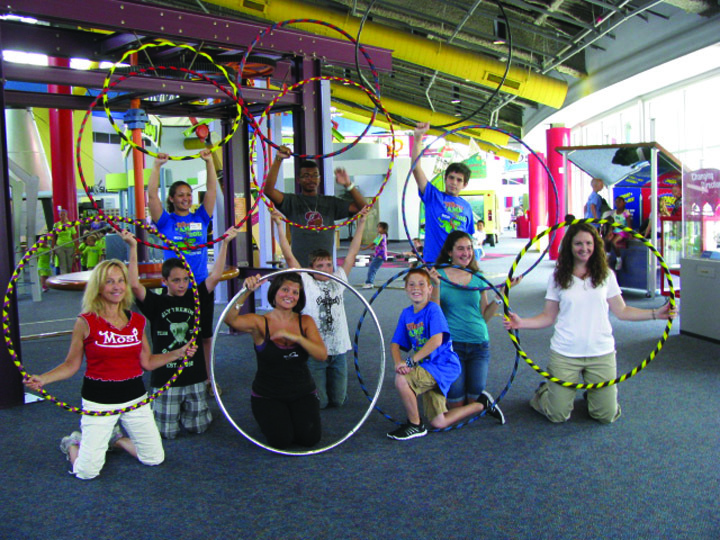 For more information or to reserve a camp experience today, visit www.MOSI.org or call 987-6000. Campo YMCA’s summer camps focus on nurturing the potential of children and helping them grow in spirit, mind, and body. Fun and friendship provide the opportunity for young people to build self-esteem, develop interpersonal skills and make lasting memories. Campo has a variety of summer camps for kids to choose from. Day Camp for ages 5-12 and Leaders In Training (LIT) Camp for ages 11-15 will be held off-site at South Brandon Worship Center located at 4929 Bell Shoals Rd. in Valrico. Sports Camp for ages 8-13 will be held at Campo Family YMCA located at 3414 Culbreath Rd. in Valrico. Day, LIT and Sports Camp sessions begin Monday, June 9 and end Friday, August 15 and will run from 7 a.m.-6 p.m. (drop off from 7-9 a.m., pick up from 4-6 p.m.) The cost is $140 Facility/$195 Program. Various specialty camps range from basketball, triathlon, princess adventure, dance, volleyball, science and much more. Weekly sessions begin Monday, June 9 and end Friday, August 15. Half day camps are from either 8 a.m.-12 Noon or 12 Noon-4 p.m. depending on the camp. The cost is $115 Facility/$150 Program. Specialty camps range in variety of age from 4-15 depending on the camp and curriculum, some week long specialty camps to choose from are: Basketball Camp, Volleyball Camp, Fairytale Adventure Camp, Dance Camp, Triathlon Camp, Drama Camp, Mad Science Camp and Magical Princess Camp. For more information, call 684-1371 or contact Senior Program Director Dan Ribas at Dan.Ribas@tampaymca.org. Uniquely therapeutic, Socialights is run by two speech therapists, an occupational therapist and a mother of a 9-year-old daughter with autism. Socialights provides an environment for children with special needs to be challenged with goal-oriented curriculum and loads of fun. Socialights welcomes children of all abilities, including neurotypical peer models, to attend camp sessions. The Socialights Summer Schedule offers three, two-week Therapeutic Summer Camps focusing on social skills, martial arts, art, dance, reading and handwriting while traveling the world on a “Passport to Fun.” Sessions are led by experienced speech and occupational therapists. Siblings are encouraged to attend camp at a discounted rate. Socialights also offers Intensive Therapeutic Reading Camps led by Orton Gillingham trained instructors. These highly individualized sessions have low instructor to camper ratios, maximizing instruction time. A Functional Skills Camp for campers aged 14-22, run by occupational therapists, focuses on life skills such as time and money management, pragmatics, hygiene, social and dining etiquette and self-expression. Socialites Connection is located at 11146 Winthrop Market St. in Riverview. For more information, e-mail socialightsteam@gmail.com or call 220-0971. The schedule is: June 9-13 – Archery/ Martial Arts Boot camp; June 16- 20 and July 7-11 Martial Arts Boot Camp; July 14-18 Robotics/Martial Arts Book Camp;July 21-25 Archery/Martial Arts Boot Camp; July 28-August 1 Martial Arts Boot Camp; August 4-8 Robotics/Martial Arts Boot Camp; August 11-15 Archery/Martial Arts Boot Camp. Spaces are limited so register early. FishHawk Martial Arts Academy is located at 15272 FishHawk Blvd. in Lithia. For more information, call 315-9494 or visit www.fhmaa.com. In this fun, fast-moving program, kids enjoy a wide variety of sports and athletic games. Campers play basketball, flag football, soccer, track, dodge ball and many other high-energy activities. This program is directed by Lowell Patterson (AKA “Coach “P”) and is appropriate for boys and girls of all skill and experience levels. There are two sessions this year running through July 14-18 and July 21-25. Both sessions are from 9 a.m. – 12 Noon and cost $150 per week per camper. For more information about camp, visit http://megasposrtsinc.com or call 309-2246. Starting Monday, June 9 and running through Friday, August 15, John E.S. Cochrane Golf Schools is offering junior summer golf camps at River Hills Country Club located at 3943 New River Hills Pkwy. in Valrico. Kids can enjoy the summer learning the great game of golf—full swing, short game fundamentals and on course play. There are lots of competition, prizes and a lesson manual to remember all they’ve learned. The classes are for one full week (Monday-Friday). There are three levels to choose from: beginners who are new to the game (8:30 a.m.-12:30 p.m.), intermediates who have more experience (8:30 a.m.-12:30 p.m.) and school competition (8:30 a.m.-5:30 p.m.). The cost is $350 for beginners /intermediate and $595 for school competition. Sign up online at www. CochraneGolfSchools.com by clicking on the Junior Programs banner, or call 957-3205 and ask for J.D. Carino. TLC’s Gypsy Haven will offer weekly summer camps through the end of the summer for ages 6-18. Camp includes learning to ride, groom, clean, and bond with the horse. They finger paint, learn horse body parts, colors of breeds, and have hands on educational experiences with all of the farm animals. They have a full bathroom facility and a classroom with air conditioning and a lunch area. A few field trips are also included. Camp will run from Monday to Friday from 9 a.m.-1 p.m.
TLCS Gypsy Haven is located at 4325 Keysville Rd., in Lithia. For more information, call 842-4236 or visit www.tlcsfarms.com.